Build your city & play in it! 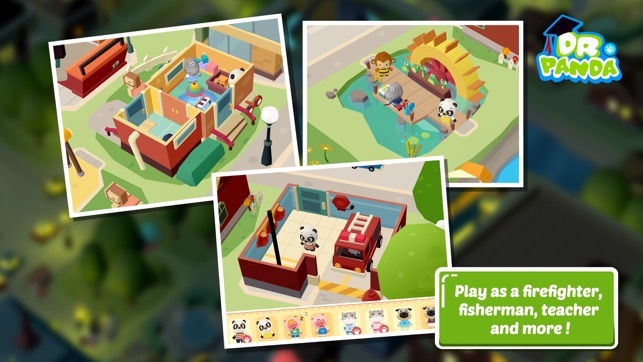 **From the makers of the award winning app Dr. Panda Restaurant 2. Build the city of your dreams! 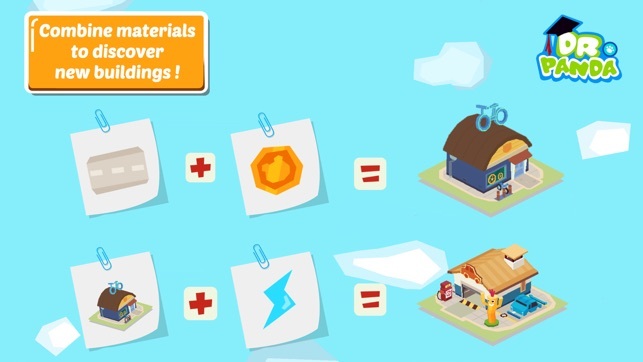 Combine materials to make houses, roads and more! HOOPA CITY IS BACK! Hoopa City is bigger and better than ever! Create a thriving metropolis with sky-high apartments and shopping malls, or a paradise beach retreat with harbors over sparkling waters! 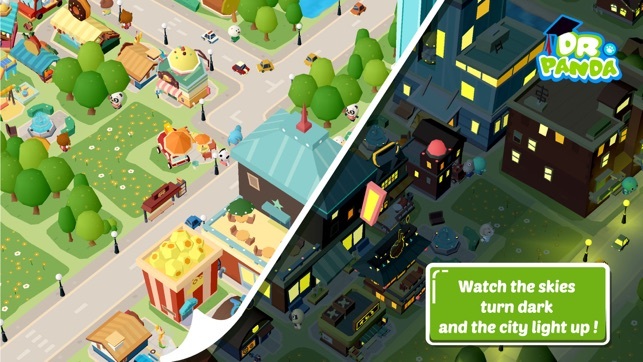 Build any type of city you dream up, and explore it in a beautiful 3D world! 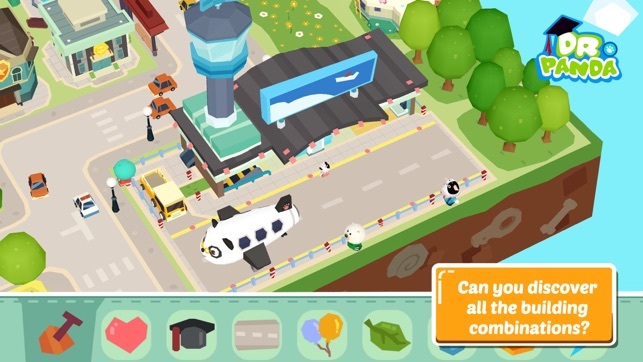 Combine 8 different world-building elements to make train tracks, homes, shops, airports and more! Each building takes a special combination to discover and unlock, so you have the freedom to experiment and build in any way you want! Can you find all of the secret combinations? SO MANY WAYS TO PLAY IN YOUR CITY! Explore the city you've created by playing inside of each building. Go shopping in the mall, get married at the City Hall or ride on a dinosaur in the museum! Hoopa City 2 is designed with kids in mind, but people of all ages can play and have fun! ● Build bigger than ever in full 3D! ● Tap, rotate and pinch to zoom to see your city from all different angles. ● Experiment with 8 world-building elements to discover and unlock over 60 buildings! 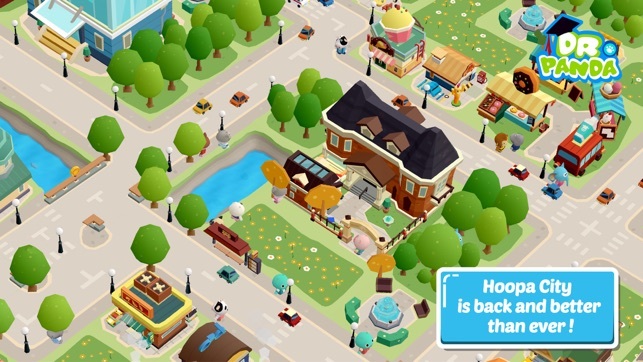 ● Dress-up your citizens with fun clothes and accessories! ● Switch between Night and Day Mode and watch your city light up! ● Hoopa's Building Book will keep track of what you've unlocked and how to build it. 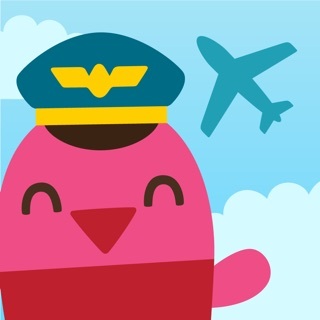 ● Save over 20 cities, so you can always try something new! Enjoy playing along in Hoopa City 2? Leave us a review and share your fun stories! Have feedback? Leave us a message​ at support@drpanda.com. I got this game/adventure for my eight year old Granddaughter to play, not completely knowing what it was. She plays Minecraft now like a pro and loves games that let her build worlds and wander through them. I thought this would probably be too young for her and she would get tired of it fairly quickly but boy was I surprised! This is one of the nicest planned games I’ve seen and has captivated her for hours and hours now. She has played it now for a week or so and it still is amazing! The play portion is fun for younger kids but the older kids just LOVE finding what combinations yield the different buildings. In all the time my Granddaughter has been playing, she still has twenty or so buildings that she hasn’t discovered. Once you discover the different buildings, discovery of what’s inside is so much fun. Also, the train and track layouts are so much fun to play with. I really enjoy watching the planning of her towns. Deciding where to put the trains, the roads, the bus stations, electrical systems and just all the rest of the infrastructure is such thinking game too, I just love it. And then... turn on the night mode and see it all at night, it’s wonderful. Thank you to the developers of this game, it’s been such a fun time playing and planning. I can see the wheels turning in her head when she plays it and the questions she asks are truly revealing as what she is planning. It’s been really great. 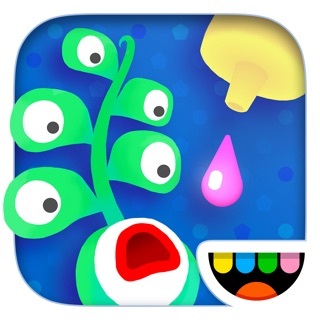 I had the original 2014 game for my kids and they loved it. They saw that there was a new one and they really wanted it. I told them that I would pay for half and they could pay for the other half. They agreed and I bought the game. Love how you can play inside the houses and make it nighttime. The only thing I would say is that the kids were putting lots of people in jail and as soon as they clicked out of the police station, the people got out of the jail cells. Overall, very impressed. Much more than a game. It’s a platform. We love this educational experience where kids can learn to build and get creative and be proud of themselves. The secret combinations of things you can build are very well thought out, and this might as well be the best game Dr. Panda has to offer yet. Thank you so much guys!